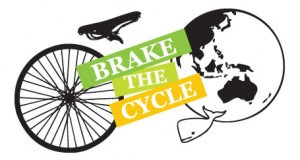 "Brake the Cycle is a brand new social enterprise, seeking to inspire sustainable living and positive action through two-wheeled, carbon free adventuring. We recently completed a 21 challenger strong Land’s End to John O’Groats expedition, cycling over 1,000 miles in 2 weeks, and raising over £11,500 for the Otesha Project UK and AfriKids. Next up, our first ever epic challenge – a 14,000 mile, unsupported bicycle ride through Europe, the Middle East and Africa, from Camden to Cape Town. 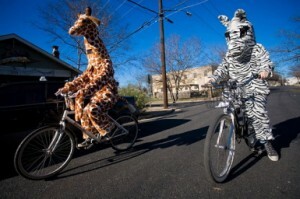 Follow co-founders Joe Reid and Marcus Letts on their long way down, from September 2011. Folks, we need you support. We’ll blog. We’ll tweet. We’ll photograph thousands of people, places and projects in over 14 months on the road. Please ‘like’ our facebook page, here, or sign up for updates via our website, and share our highs and lows as we earn our stripes in zebra country. Do we know the way? Will we be eaten by crocodiles? How many punctures do you accumulate over 14,000 miles? Over the next few years, we hope to establish a regular programme of UK and European team challenges. We’ll help to empower young people and encourage them to make more sustainable lifestyle choices, by visiting eco builds, permaculture projects, organic farms and sustainable festivals during 3 and 6 week cycle tours. As well as supporting the projects we visit, our challengers will raise funds for other grassroots, environmentally conscious and not-for-profit people and projects."